Coffee is what you make of it. For one drinker, it's a disposable commodity that comes in K-cups; for another, it's a lovingly executed daily ritual. If you're the kind of person who owns a gooseneck kettle and weighs out coffee in grams, chances are you're constantly on the hunt for good beans. That's where coffee subscriptions—like our favorite, MistoBox (available at MistoBox for $19.95)—can fill a real need. These services deliver a constant stream of new and interesting beans, and the best of them tailor the deliveries to ensure the coffee you get produces the flavors you want. But there's no one-size-fits-all: whether you prefer a specific roaster like Blue Bottle, Stumptown, or Verve, or perhaps you want a service that collects coffee from independent roasters. For the truly adventurous and coffee-obsessed, some services even provide blind tastings designed to help you expand your palate. I considered a total of 27 different subscription services and ultimately tried seven of them, each of which take a slightly different approach to delivering fresh coffee to your doorstep. All of them brought me delicious coffee, but some definitely went above and beyond. Conceptually, MistoBox splits the difference between many other coffee subscriptions—and it's all the better for it. The company doesn't roast its own beans, but instead sources them from top roasters all across America, who ship the fresh-roasted coffee direct to your door. It doesn't ask you to participate in blind tastings, and it doesn't give you a detailed quiz up front. It's all about balance. Where MistoBox really shines is in its efficiently designed website and deep customization. If you want to, you can sign up for a scheduled delivery of curated espresso blends or single origin coffees and just let it ride—no input is necessary beyond the initial question of what kind of roast you like. But if you want to get a little more involved, you can rate each coffee you receive to refine future shipments or—if you want to take the future into your own hands—curate your own list of upcoming beans with a feature MistoBox calls the "Brew Queue." The number of choices is dizzying, and there are plenty of user reviews to guide your way thanks to a very active community. Shipments were blazingly quick, with both independently contracted roasters delivering my coffee just two days off roast. Customer service was similarly speedy: an exceedingly polite representative reached out and efficiently answered my query just a few hours after I sent it. Angels' Cup is unlike any other subscription we tested. 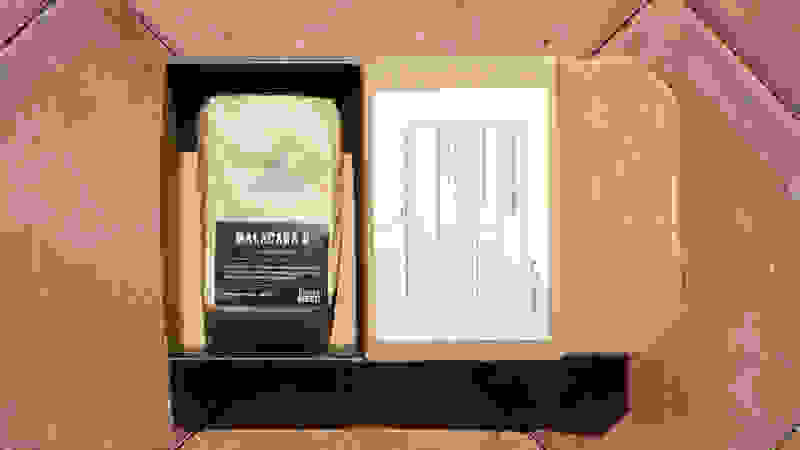 Rivals give you a quiz to figure out your preferences, then try to deliver coffee that suits your tastes; bags arrive with explanatory cards, tasting notes, and stories about the farmers and washing stations that produced the coffee. These presentations can be impressive, but the information colors your opinion of the coffee before you even taste it. You read "notes of tangerine" and boom! your tongue almost can't help but detect faint notes of citrus. With Angels' Cup, your olfactory senses do the heavy lifting. 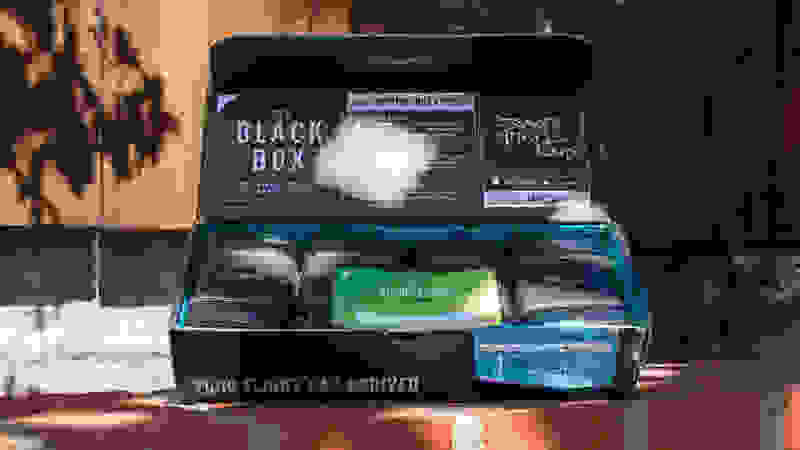 If you choose the company's "Black Box" or "Cupping Flight" options, coffees arrive in sets of four black bags differentiated only by four-digit lot codes. You brew each coffee, plug the lot code into the Angels' Cup app (available for iOS and Android), and begin your tasting. The app takes you step by step through the process, asking what aromas and flavors you can discern and your impressions of the coffee's body, acidity, and overall taste. Once you've submitted your rating, you can compare it against the roaster's own tasting notes and comments from other subscribers. The app is slickly designed, and the tasting format is a great way to develop your palate. That's why Angels' Cup is a great gift for both burgeoning and long-time coffee lovers. It's not a great subscription if you just want to get a lot of high-quality coffee delivered to your door, but if you want to really explore what coffee can taste like, there's no other service we found that comes close to delivering the same variety or guided appreciation. 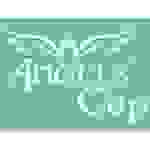 But if you would prefer a more conventional subscription, Angels' Cup can do that, too. Select the "All Stars" option and you'll get a single bag of the previous week's best coffee, as judged by other users. I'm Ben Keough, and I've been testing and writing about consumer tech and home goods for more than a decade. I previously served as Reviewed's Editor in Chief of News and Features, where I covered everything from new oven announcements to cutting-edge developments in digital camera sensors. For the last year, I also owned and operated the number-one rated specialty coffee shop in Da Nang, Vietnam's third-largest city. There, I converted my love for drinking coffee into a passion for making coffee, and learned what it takes to produce a perfect cup. I visited coffee farms, participated in cuppings, and selected beans for commercial use. It's difficult to scientifically test the quality of coffee, since taste is ultimately subjective. With that in mind, I didn't rate these services on the quality of the coffee they delivered (although all of them delivered very good to excellent coffee, according to my palate). However, there are still plenty of factors that make one coffee subscription service superior to another. Off-roast time—the amount of time that elapses between roasting and delivery—is incredibly important. Since coffee begins to lose flavor and aroma almost immediately after roasting (even in a sealed bag), quick delivery is essential if you want to taste each bean at its peak. So I kept detailed logs of roast, shipping, and delivery dates, which gave me a good picture of how quick and reliable each service is overall. Testing involved tasting a lot of very good coffee. I also tested to see how customizable the subscription is, and how well it tailors subsequent deliveries to your taste. Ideally, a subscription service should learn what you like and don't like, and after a while deliver perfect matches on a regular basis. Some services go further in this regard than others, and some—like Angels' Cup—use an entirely different approach that completely bypasses user feedback. Customer service is also key, so I sent a question to each company and kept track of how long it took them to respond and how polite, personable, and informative their replies were. I took stock of the instructional material included with each shipment. Some subscriptions provide only the bare-bones stats for each coffee—country, varietal, tasting notes, and altitude—while others go much deeper, detailing the stories of the farmers who grew the coffee, the history of the region, and the sourcing process. For each subscription I tested, I signed up anonymously (to prevent the companies from treating us differently than regular customers) and received two rounds of deliveries, to ensure that the results were repeatable and to test whether the service learned from my feedback. Pricing varies widely between subscriptions. Some offer discounted rates for customers who pay up front for a number of deliveries in advance. Others offer gift subscriptions that are sometimes (but not always!) less expensive than per-delivery orders. 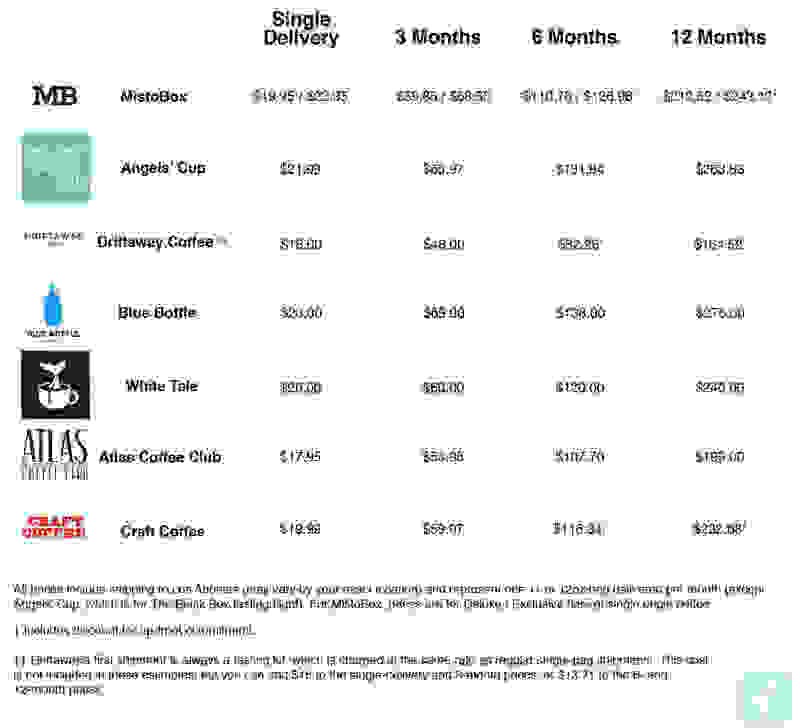 In the chart below, we break down the typical cost for each subscription mentioned in this guide for single deliveries, plus 3 months, 6 months, and 12 months of deliveries at the most advantageous rate. If you want a coffee subscription that seems to really care about you and your tastes, Driftaway is a great choice. Setting up your subscription is easy: unlike other services, Driftaway doesn't ask you to complete a survey or quiz to get going. Instead, your first shipment is a four-bean "tasting kit," similar to the flight you get from Angels' Cup. Your feedback on those first four coffees sets your taste profile, which is then refined with ratings of subsequent coffees. In my testing, the profile was extremely accurate: I like light, fruity but not necessarily citrusy coffee, and after my tasting kit, the first coffee I got was an Ethiopia Yirgacheffe that hit all the right notes: stone fruit, subtle spice, Earl Grey tea. Bullseye. Driftaway is notably welcoming in other ways. I sent a question to support and got a very informative reply from one of the founders, rather than some chatbot or subcontracted CSR. And the company provides excellent tracking updates, including emails when your coffee is being roasted, when it ships, and even when it's delivered. Both of my orders shipped within 24 hours of roasting, and I received them within four days—twice as long off-roast compared to MistoBox, but still very fresh. 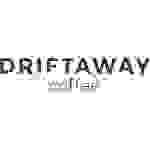 Driftaway is also one of the most affordable subscriptions I tested at $16 per shipment with free shipping. That said, with the single-origin subscription, I still got delicious coffee that perfectly suited my tastes. Like other artisan roasters, Blue Bottle tends toward the super-light end of the scale, so the Rwanda Nyamasheke Mwasa and Peru Puno Sandia Valley I tried both delivered the delicately floral aromatics I crave in my morning cup. 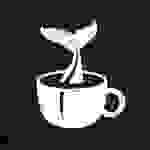 If you do get a coffee you don't like, you can provide feedback to adjust your taste profile. 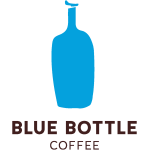 Blue Bottle simply asks you if you'd want to drink the coffee again. And you can reply with an equally simple "Yes," "Maybe," or "No." When you think of craft coffee, Denver probably isn't the first city that comes to mind. Nevertheless, that's where White Tale Coffee roasts its carefully selected beans. The subscription itself is relatively simple and stripped down, beginning with the five-question quiz that gets you started. White Tale just asks for your preferred roast profile, your three favorite flavors out of eight options, your grind preference, how often you want coffee delivered, and how often you want to pay. You can also leave a note asking for specific flavors, delivery dates, and other custom requests, which is pretty neat. White Tale shipped both orders just a day after roasting, but deliveries took a little while—a trend we've noticed among subscriptions offering free shipping. Still, at $20 per delivery it's among the cheaper subscription services, and the six days it took to get the coffee from the roaster to my doorstep still left it tasting plenty fresh. When I reached out to customer service, the company's CEO Nicolás Anzellini responded directly, and showed real interest in my question. On the downside, though, it took him a few days to reply. It's also unfortunate that there's not a built-in feedback system to better tailor coffees to your taste, but it seems likely that White Tale would be able to do so manually if you sent in your notes via email. 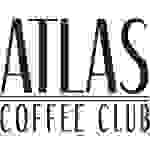 Lots of coffee subscriptions have a gimmick, and Atlas Coffee Club's is actually pretty cool: each delivery brings you a carefully selected single-origin coffee from a new country. You may have noticed that certain countries (Ethiopia and Kenya, most notably) tend to dominate the artisan coffee scene, so this is a great way to try out beans from less well-known coffee producing countries (like Mexico and Peru). That said, the service didn't really impress me much. The customization options available during account setup are weak at best, only allowing you to choose between two roast options ("light to medium" and "medium to dark") and two grinds (whole bean or ground). That's especially problematic since the grind should really be customized depending on your preferred brewing method—you wouldn't use an espresso grind in a Chemex, for example. The whole beans I got were tasty, but not among the best in the test group, and they were definitely roasted darker than I would have preferred. Atlas also doesn't provide roast dates, so there was no way to tell how old the beans were. Delivering coffee since 2010, Craft Coffee is one of the oldest coffee subscription services around. In its time, it has gotten a lot of attention in best-of lists and gift guides. In my experience, however, it was outclassed by most of its competition. Craft Coffee's focus is clearly on blends, which isn't what I was after for this guide. 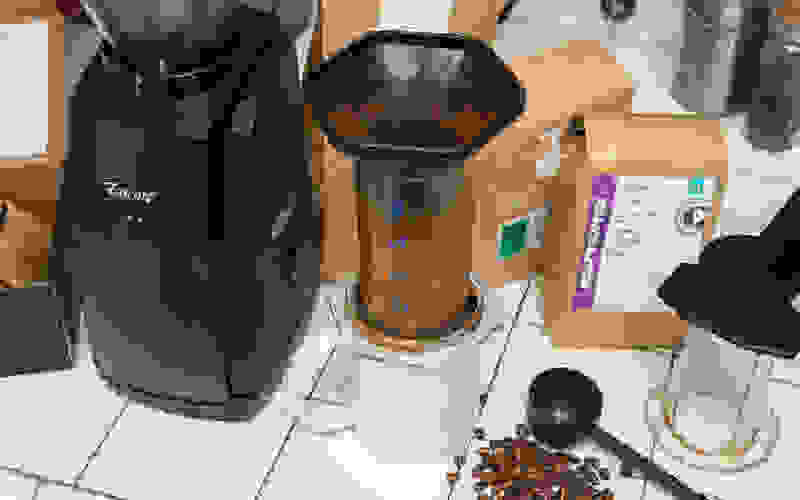 After digging a little deeper, I was able to uncover the $20 Roaster's Choice plan, which delivers light-roasted single origin beans as often as you'd like, but there's nothing you can really do to customize your taste profile. The coffees I received (one from Peru and another from Colombia) were tasty enough, but also among the oldest I received. They shipped three days off roast and arrived another three days later. If you want to know a lot about the coffee you're drinking, Craft won't satisfy there, either. Where other subscriptions include colorful postcards with descriptions of the coffees and histories of the farms where they're grown, all you get with your Craft Coffee shipments are the vital stats, printed on the label on the bag itself. On the plus side, customer service was polite and quick to respond to my queries, and it was easy to cancel my subscription.